Who remembers drive-in movies? National Drive-In Movie Day is June 6th. 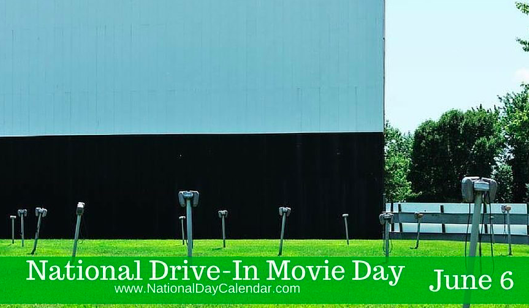 The first drive in theater screen was 40 feet by 50 feet and there were 400 car slots. The slogan was “The whole family is welcome, regardless of how noisy the children are.” Wife Beware was the first film shown. The idea caught on and by the late 50’s there were 4000 drive-ins. You can observe National Upsy Daisy Day on June 8th and face the day positively and get up gloriously, gratefully and gleefully each morning. Give it a try. 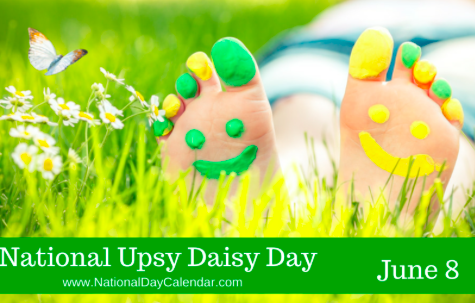 Post #UpsyDaisyDay to your social media. Try a smile and see how it feels. It may surprise you that it feels good on the inside and how other people smile back. 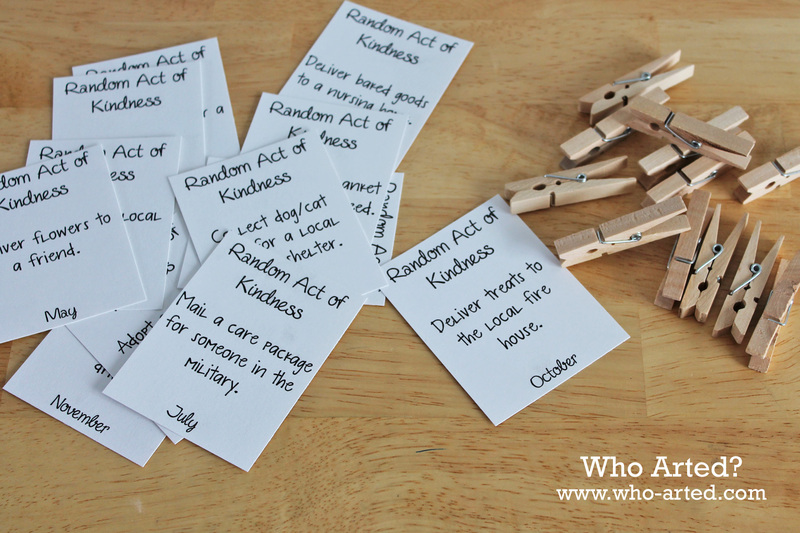 You may just brighten their day! 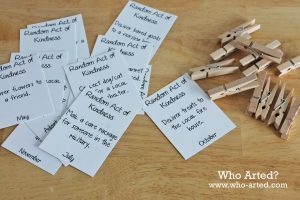 “There are two ways of spreading light: to be the candle or the mirror that reflects it.” Share Random Acts of Light Day on June 13 – take a friend their favorite cup of coffee. Sometimes a visit, a walk or a fresh bouquet of flowers is what brings light into the room. You could even organize a Leukemia & Lymphoma Society Light the Night walk! June 21 marks National Day of the Gong. 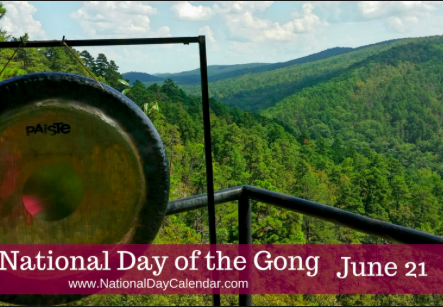 Celebrate the unique history of the gong and the capacity for it to create sound, music, creativity and healing. With it’s extensive international cultural history, the gong is an extraordinary instrument and conduit of Creation. Explore the fascinating sounds and vibrations of the many types of gongs. Get outside and observe National Meteor Watch Day on June 30th. Gather some friends, bring a blanket and find a place far from the city lights on a cloudless night. Learn about the chemical composition of meteoroids and what dates will have the most meteor showers.